SANTA CLARA, Calif. — March 7, 2017 — AMD (NASDAQ: AMD) today took a significant step into the server and datacenter market with its most detailed look yet at the upcoming high-performance CPU for servers, codenamed “Naples”. Purpose-built to disrupt the status-quo and to scale across the cloud datacenter and traditional on-premise server configurations, “Naples” delivers the highly regarded “Zen” x86 processing engine in industry-leading configurations of up to 32 cores. Superior memory bandwidth and the number of high-speed input / output channels in a single-chip further differentiate “Naples” from anything else in the server market today. The first processors are scheduled to be available in Q2 2017, with volume availability building in the second half of the year through OEM and channel partners. The new AMD server processor exceeds today’s top competitive offering on critical parameters, with 45% more cores1, 60% more input / output capacity (I/O)2, and 122% more memory bandwidth3. 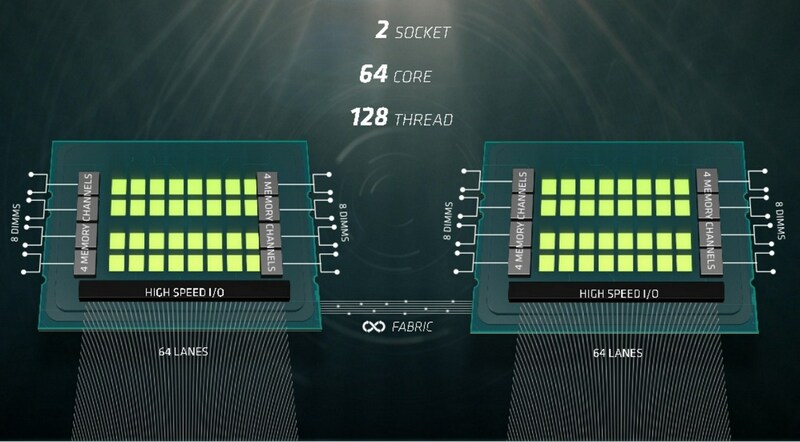 Industry-leading memory bandwidth, with 8-channels of memory per “Naples” device. In a 2-socket server, support for up to 32 DIMMS of DDR4 on 16 memory channels, delivering up to 4 terabytes of total memory capacity. AMD will deliver two presentations on its datacenter strategy and upcoming products this week during the Open Compute Summit. Scott Aylor, vice president of enterprise solutions will talk in the main hall on Wed., March 8th at 4:55 PM PST, while Dan Bounds, senior director of enterprise products, will deliver an engineering Tech Talk on Thurs., March 9th at 9:20 AM PST on the Expo Hall stage. 4. Pending PCIe certification. PCIe is a registered trademark of PCI-SIG Corporation.